Medical education has to keep pace with an every-evolving world. 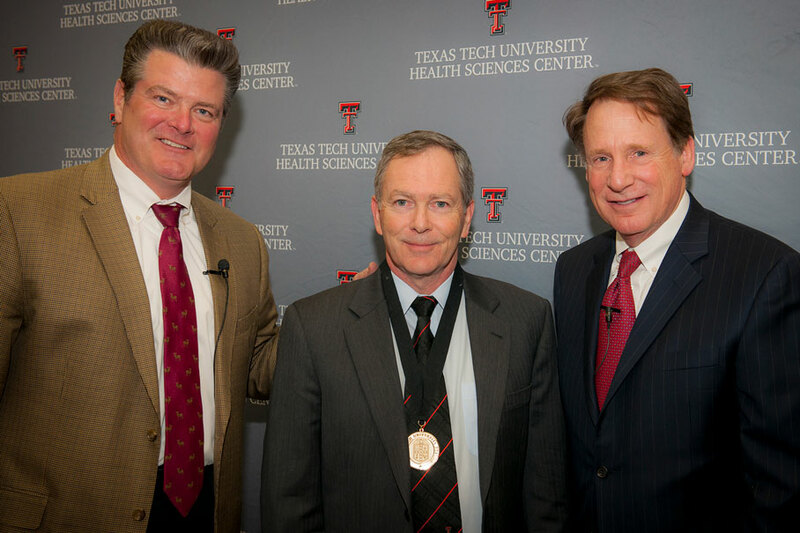 His work overseeing TTUHSC's curriculum earned him the Texas Tech University System's highest faculty honor. In 1910, Henry Ford was selling Model Ts, William Taft was president and penicillin hadn’t been discovered. It was also the year Abraham Flexner created the model medical school curriculum still widely used today: two years mastering facts in the classroom, followed by two years shadowing doctors in clinics and hospitals. More than a century later, health care has changed. Technological advances and a more global society challenge students to practice in a world of evolving medical science and health care systems. 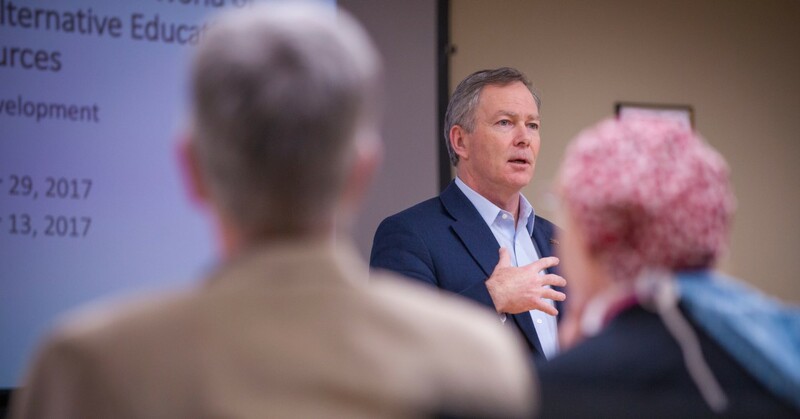 Building on its 50-year history of preparing health care professionals to serve West Texas and the world, the Texas Tech University Health Sciences Center School of Medicine is adapting its curriculum to reflect the new realities. 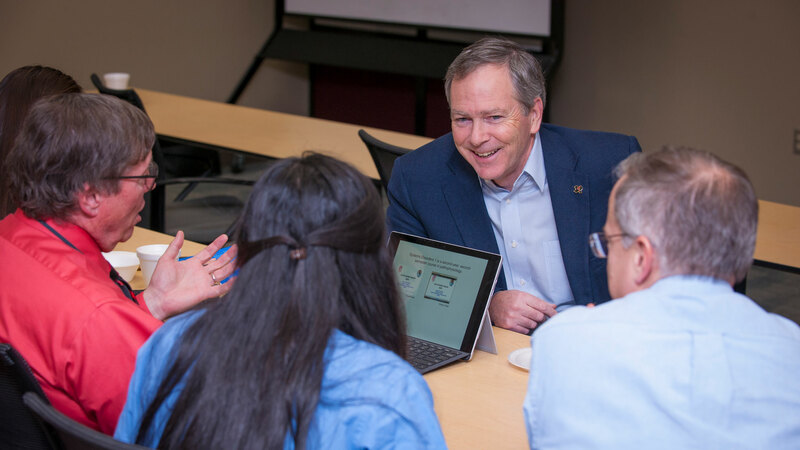 Simon C. Williams, associate dean for academic affairs and professor of medical education, is playing a major role in the shift from a traditionally structured curriculum to one designed to more efficiently equip medical students to handle today’s medical challenges. These changes also have allowed TTUHSC School of Medicine to educate more primary care doctors to address a critical shortage nationwide and especially in Texas and to ease the financial burden of medical students. Simon C. Williams, center, with former Texas Tech University System Chancellor Robert Duncan, right , and TTUHSC president Tedd L. Mitchell, M.D., during a campus ceremony recognizing TTUHSC recipients on Jan. 25, 2018. 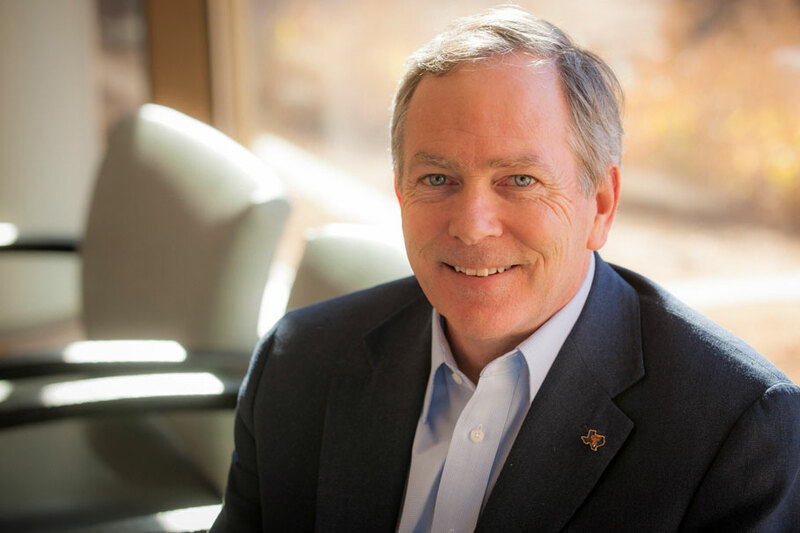 In honor of his career of achievement, Williams was awarded the Chancellor’s Council Distinguished Teaching Award, the most prestigious honor given to faculty members throughout the Texas Tech University System. He received $5,000 and a medallion for his excellence, funded by annual membership gifts to the Chancellor’s Council — a giving society that supports the priorities of the chancellor by impacting student lives through scholarships, recognizing faculty achievement and encouraging excellence across all four system universities. Born in Ireland, Williams’ 10th grade science teacher, Arnie Edge, introduced him to the work of Gregor Mendel, who created the science of genetics. The possibilities for using the information coded in our genes to diagnose, treat, prevent and cure illnesses fascinated Williams, who still teaches genetics today at TTUHSC. After secondary school, Williams attended Trinity College Dublin, The University of Dublin, where he earned a bachelor’s degree in genetics. He continued his studies at the Roswell Park Cancer Institute at State University of New York College at Buffalo where he earned his Ph.D. in cellular and molecular biology followed by a post-doctoral fellowship at the National Cancer Institute in Frederick, Maryland. Since coming to TTUHSC 24 years ago, Williams has been actively involved in teaching and research. He also served as director of research for the Southwest Cancer Center. Williams has played a major role in guiding the School of Medicine through two successful accreditation cycles with the Liaison Committee on Medical Education. In recognition of this work, he received the Distinguished Service Award from the School of Medicine in 2008 and was named University Distinguished Faculty in 2015. One of the most impactful innovations in the curriculum has been the three-year Family Medicine Accelerated Track, launched in 2011. It allows students who are committed to family medicine to complete their education in three years at half the cost of the standard four-year medical degree. Students can also enter a three-year, family medicine residency and start earning a salary a year earlier. It’s aimed at producing more primary care physicians to address critical shortages in Texas and nationwide. “The Family Medicine Accelerated Track involves creating a personalized program for each student, so we know that they know what they need to do,” Williams said. Results show students in the three-year program have outcomes comparable to four-year students, he added. Simon C. Williams discusses course plans with colleagues at Texas Tech University Health Sciences Center. Williams is also focused on cultural competency for students so they meet the social, cultural and linguistic needs of their patients. “Doctors need to experience cultural awareness and empathy, particularly in primary care,” Williams said. Students learn more about cultural awareness through the programs of TTUHSC’s Office of Global Health. Williams serves as an adviser for the program, which creates opportunities for students to participate in short-term, international health projects in Costa Rica, Nicaragua, Peru and several countries in Asia. Looking at how education for health care providers is likely to change, Williams sees two important trends that will impact the student experience and how health professionals work together. “We are looking at a new curriculum with more flexibility for the individual student and inter-professional education,” Williams said, “The future will look different. To evaluate the impact of the changing curriculum, Williams collects data on students’ performance, asks for student feedback and engages in small groups. Looking to the future, Williams sees further advances in creating an evermore customized curriculum.